It is such a pleasure and an honour to bring this second Special to the Create and Craft Members. So, what can you expect? Well, we take a little bit of a trip around the British Isles. We pop up to Scotland amongst the heather, the tartan and of course the Thistle. We zip across the Irish Sea and enjoy the “Craic” whilst wearing the Shamrock. We whizz back to a welcome in the Welsh hillsides and pick a Daffodil and mosey across the Severn Bridge to England and its Majestic Rose. In this Special, you will also find the Campervan project. It may be a trip down memory lane, or perhaps a reminder of a recent experience at a summer festival. For the more sophisticated, how about trying the Sunset Skyline project, think London, New York, Paris and all those other fabulous cities. 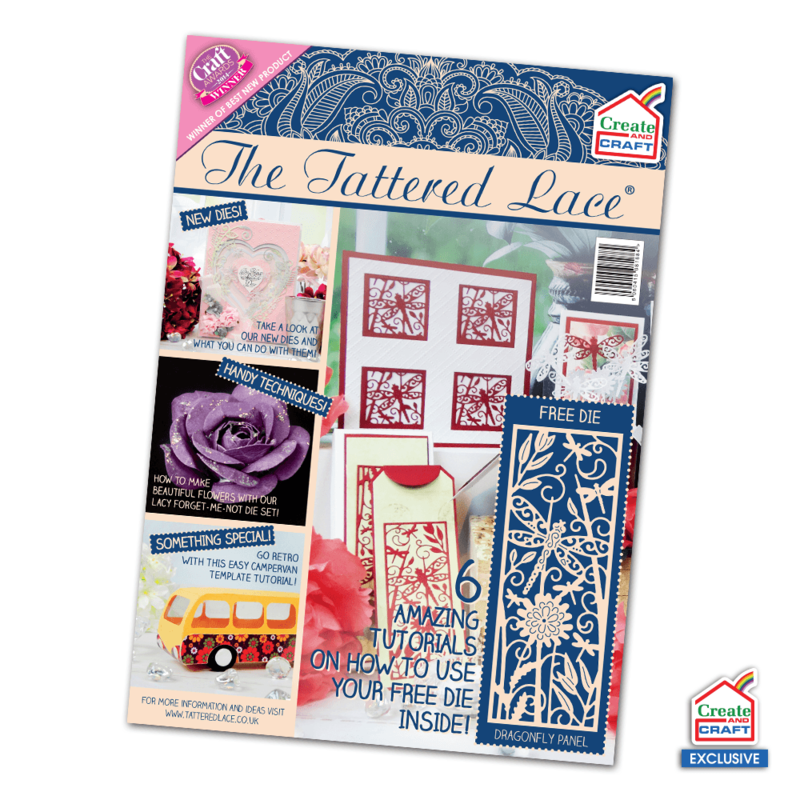 Tattered Lace Magazines always have a FREE gift on the front cover and this Special is no exception. The Dragonfly Panel is your FREE gift and it is absolutely beautiful. There are six gorgeous projects for you to try, from a quick four step card to one that takes 10 steps to finish.